I did post this question in the Techno room a couple of days ago but that may have been the wrong place as there has been no replies. Can anyone tell me if the Mastermason.com FTP server has a problem at the moment?I am not able to make any connection to update our pages. Access tp read any stuff already there is OK.
PM Lodge Mangaroa No. 419, Upper Hutt. NZ. 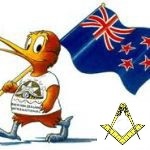 PM The Waitohi Lodge No.111, Picton, NZ. Past Grand Lecturer, Southern Division, GLNZ. How long has it been since you used the FTP? There has been issues with those servers in the past and the accounts & server have been reworked. Whether this is a new problem or part of the old issues, you will have to contact Stonecutter. Do so using his email link. Hi Max. I used the FTP successfully two days ago. Whatever has gone wrong has just happened. I used the forum messaging yesterday to send a note to stonecutter but so far no response.Thanks for your note. I have had no further response. The lack of ftp access is becoming a real problem now. I have tested my ftp program and it is working OK. Is there anyone else experiencing this? What is the address for your FTP server? The 70.91.242.33 ftp server seems to be working. I don't have an account, but the login (test) is failing at the password. This is the address that I have always used. Try connecting to 70.91.242.33 with your user name and password. I just ran a port scan on 70.91.242.35 .... from http://mxtoolbox.com/PortScan.aspx. The FTP port (21) is closed or down. Sorry, this is all I can do. The Admins on this forum do not have access to these servers. You will need to contact Stonecutter vid his email link. I have two messages in my outbox for stonecutter so all I can do is wait. I note that the forum is not notifying me of the message replies. I have checked that my email address is correct and that I have the appropriate notify me box checked. Unfortunately I can't assist you with the issue that you are having. I have edited your post. For security reasons please do not post user names and passwords for other sites and accounts in an open forum. All up and running again now. Thanks. Can anyone tell me if the Mastermason.com ftp server is out of action again? A port scan shows it up & running. Send Stonecutter a email/PM. Use the email link in his profile. Thanks for that. I have sent a message to stonecutter but there is no response yet. It appears that I am reaching the server and connecting but it is not responding. The connection times out. My error message is below. hummmm ... that system needs rebooting. Hope Stone picks up your email soon. NZ time 13 November 7.27am. All up and running again. Thanks to all. Can anyone tell me why the mastermason.com site is down again and when it is likely to be up? The forums at mastermason.com are working or you woulgn't been able to make you post. So specifically what are you referring too? Again. Stonecutter is the ONLY one that can help you. Sorry for not being specific enough. Several times of late, including fight now, it is impossible to access the (our) web pages on the site. FTP access will not work as well. What is the URL to your webpage? This could be an internet issue. Try running a trace route to ftp sever (70.91.242.35 : ftp.mastermason.com) and see where it breaks down. Anyway ... for sever issues, they have to be handled by Stonecutter. Thanks for that. I have posted a message to stonecutter today. The problem could well be an internet problem. I can access this forum OK (as you can see) but not the pages (mastermason.com/nelmarwest/) or use FTP. My problem appears to be a net problem. a trace route on mastermason.com collapses afer going through a server at rockford.il.ch. I am at a loss now as I have no idea how to report this internet fault. Thanks for your help. This is still a problem for Stonecutter. The your trace did reach his ISP network.